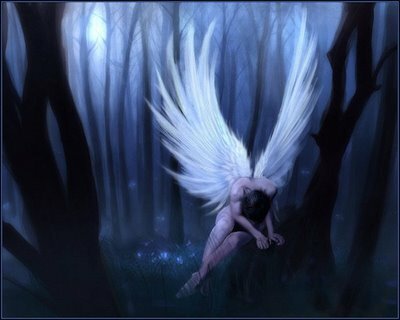 I came to tell the story of an angel I once heard. About a fallen angel, who spoke but not a word. He stayed out late every night, always on the go. She would put up with him, because she loved him so. She is out there on the street. A man she wants to meet. Day after day she stayed at home doing her best to please. Night after night she was alone as he would decide to leave. Her heart is broken, she sheds a tear waiting by the phone. But, he would not call her, nor would he come home. Then one day her loneliness was more than she could bear. For in her heart she loved him so, yet knew he did not care. She took his gun from the drawer and then it was the end. She was a fallen angel, she died without a friend. Now he is all alone. She finally found her home.